Before we start our integration, make sure that Meteor platform is installed according to these instructions. If everything is OK, let’s move on and prepare our app. 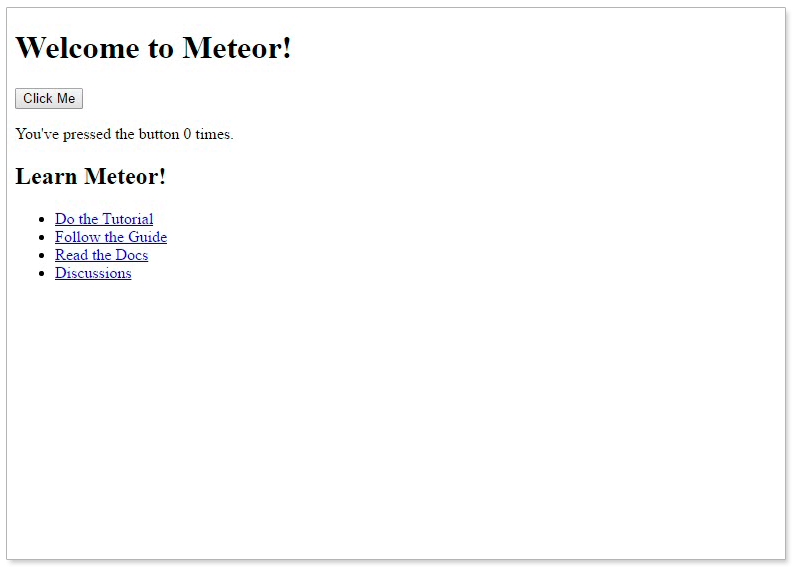 You can jump to a complete Scheduler with Meteor demo that is already available on GitHub. Step 3. Create imports/ui/scheduler folders and create scheduler.html file inside it. Here we’ll define template with necessary blocks for scheduler. Here we’re initializing scheduler after template rendering. Create API folder inside imports folder, and then create events.js module inside. Here we create new mongo collection for events and export it. Also here we add scheduler events handlers to put events changes to collection. So, when event is added, changed or deleted, we add corresponding changes to collection. Now we get a working example. It should load data from the server side and save changes. Thus you have a demo of a real-time event calendar based on Meteor JS Framework and dhtmlxScheduler (feature-rich booking/appointment calendar). Grab the demo from GitHub to study the integration and customize according to your needs.